The only two table saws I have ever owned since I started working were Sears Craftsman contractor-style saws. They got the job done but not without a fair amount of frustration. The rip fences constantly needed tweaking to remain parallel to the blade. And the blade-raising and tilting mechanisms were pretty weak. They sometimes required a lot of effort to adjust the blade, in spite of frequent cleaning and lubrication. That all changed when I bought a new Jet Supersaw a couple of years ago. It’s just like the one you see in the photo. It was a floor model and had a few dings and scratches and had been around for a few years. I got a great deal on it. I couldn’t believe the difference in the quality. It was a definite step up in every measure from my old Craftsman saws. Jet doesn’t make that particular model anymore, but they have newer models that still incorporate the sliding table. But what I like most about this saw is the sliding table. It replaces the miter gauge. There is no slot for the miter gauge on the left side of this saw. I thought I’d miss having a miter gauge, but that’s not the case. The first time I calibrated the fence on the sliding table, it hasn’t budged since. I get repeatable miters and square cuts all the time, every time. A friend of mine has the same model of saw, so we’re always trading ideas on adding jigs and fixtures to it. He came up with a miter sled that replaces the miter head on the sliding table. He gets perfect miters every time with no setup time. Where the sliding table really shines is in crosscutting wide stock. I built a cabinet that was about 22″ deep. I had no problem cutting the plywood cabinet sides square. Perfect. Then there’s the rip fence. I’m going to stir up the pot here when I say that I never was a big fan of Biesmeyer-style (or T-square type) rip fences. Oh, they’re a huge improvement over stock fences that come on some saws (particularly Craftsman contractor-style saws). But what I don’t like about them is how hard they are to tweak in small increments. Lifting the cam-action locking lever always moves the fence more than I want. After tweaking the setting by tapping it with my knuckles, it still may move when you lock it down. I supposed you get used to it. My fence is the older style Jet Xacta fence. It has a micro-adjust wheel and only requires a feather touch to move it or lock it down. Both sides and the top of the fence have T-tracks that I can use for attaching all sorts of jigs and accessories. I outfitted the saw with a Freud Premier/Fusion blade and the cuts couldn’t be cleaner. 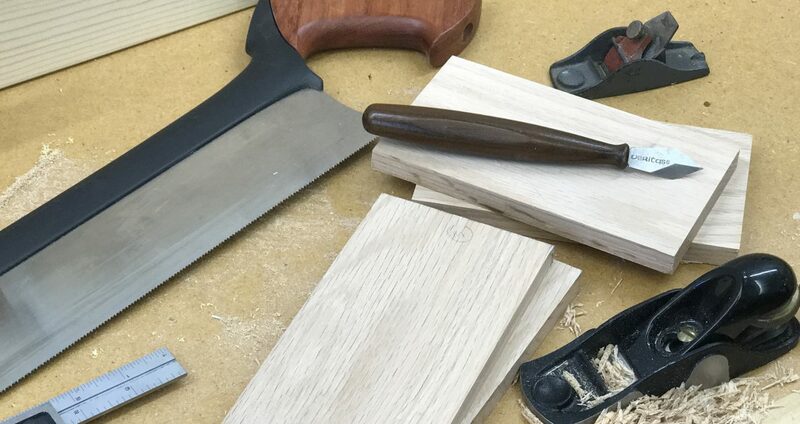 So here’s the bottom line…if you’re frustrated with your old table saw, save up your pennies and invest in a good-quality hybrid or cabinet saw (and blade). It’s a lifetime investment you won’t regret. And you won’t believe how much enjoyment it’ll bring back into your woodworking. Cabinet saws, hybrid table saws, contractor saws and portable table saws. You’ll find the perfect saw for your woodworking style and budget at Rockler. Posted on April 12, 2010 April 8, 2010 by Randy MaxeyPosted in WoodworkingTagged saw blades, table saw, Tools, Woodworking.